Welcome to Pekers Bar Online! by the Dallas Observer for 2016! Browse through our website and check out our daily specials and events. Come on down and join the party! We look forward to meeting you soon! HAPPY HOUR Fridays and Saturdays from open - 8pm! SATURDAY NIGHT KARAOKE CA$H PRIZE! 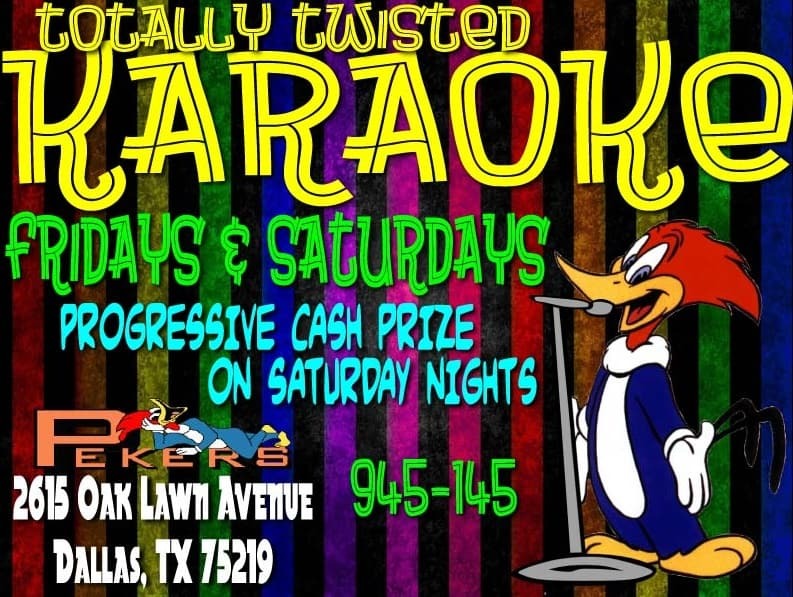 Sign up to sing before 10:30 pm on Saturday Nights to be eligible to win!